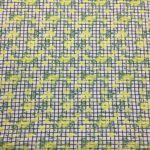 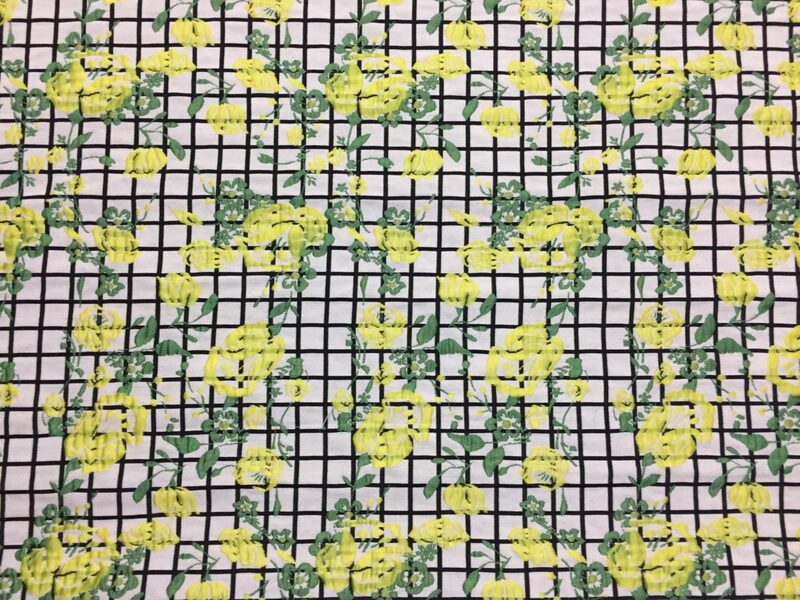 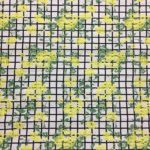 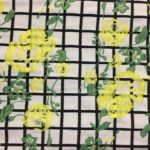 Jacquard, a Black and White window-pane plaid that is the perfect background for a dynamic Yellow and Green lifted floral pattern. 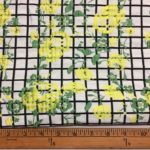 Made in Italy of a Cotton/Polyester/Rayon blend, medium weight with drape, 56″ wide. 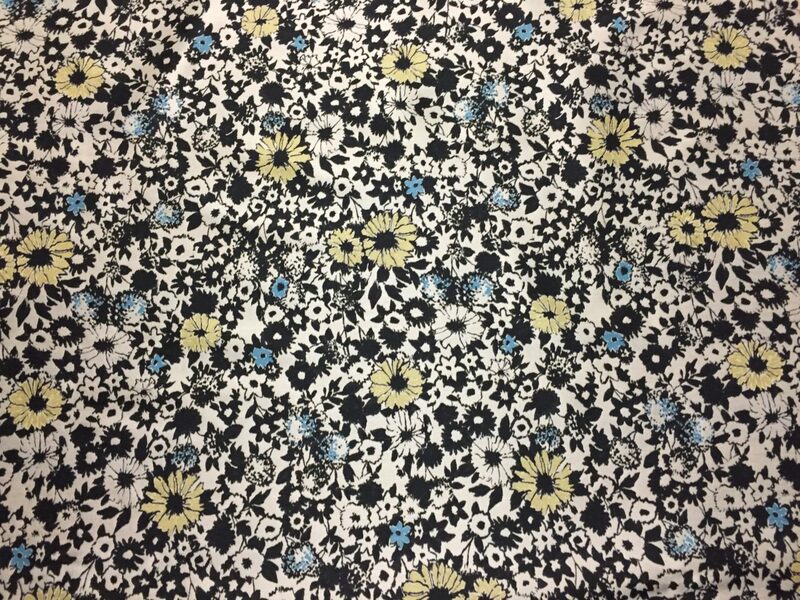 Perfect for a skirt, dress, gown, coat/jacket or suit.